Fine haired girls have known about this for years. But, for everyone else, it turns out you might be washing your hair backwards. At least that’s what I learned after chatting with Kebrabe Shibeshi, an Associate Deploy Manager of Research & Design (Home and Personal Care) at Unilever Canada. First, it’s important to understand the difference between shampoo and conditioner. According to Shibeshi, shampoo is formulated with a cleansing agent, called surfactant, which helps remove oil, dirt and buildup materials like pollutants and dead skin cells from hair. Conditioner contains emollients, which help alter the texture and appearance of hair so that you’re left with hair that’s smother and more manageable. Traditionally, people tend to approach their hair care regime in the same way they approach skincare by first cleansing and then conditioning or repairing. “This is the most likely reason why shampoo is used before conditioner,” Shibeshi explains. So why is this problematic? Shibeshi claims that washing first with shampoo and then conditioner may mean that you’re sacrificing volume in favour of softness. Because this is so common, TRESemmé has created a new, two-step system that takes the away the guess work. 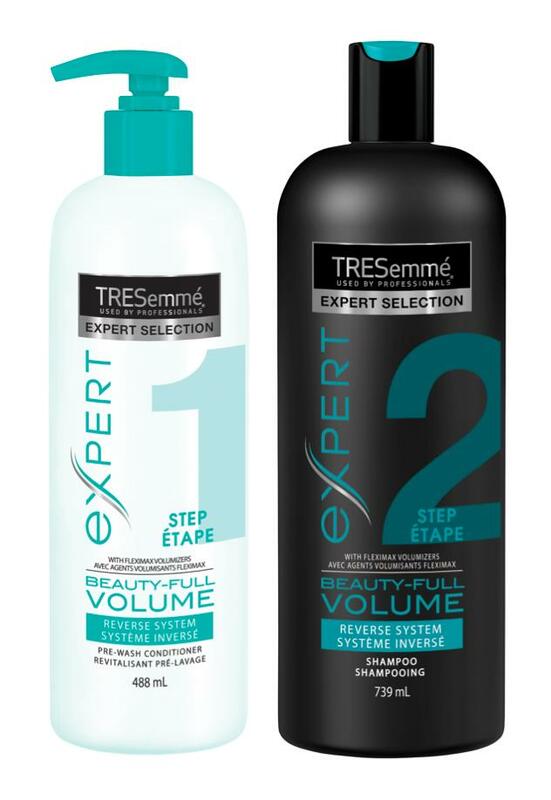 “TRESemmé Beauty-Full Volume collection is a new haircare system specially formulated to work in reverse order to provide soft, touchable, and voluminous hair,” Shibeshi explains. Step one of the system is a pre-wash conditioner, which is formulated with “fibre polishing” to give hair a smooth finish. Next, the shampoo washes away some of the conditioner so that hair isn’t weighed down but also isn’t completely striped of it’s smoothness. The aim is to provide a soft finish and increased volume. And while you may get the same result from simply swapping the order of the shampoo and conditioner you’ve already got in the shower, Shibeshi warns that you run the risk of completely stripping the conditioner from your hair. What do you think of swapping the order of your shampoo and conditioner? Let us know your thoughts by tweeting to @YahooStyleCA.